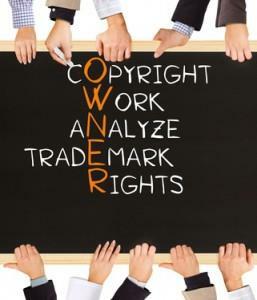 We help companies build their Intellectual Property strategy. Our experts are senior volunteers who have a long experience in intellectual and industrial property. The first point consists in analysing the company’s situation in terms of innovation and business strategy. Indeed an IP policy (Intellectual Property) cannot be defined without a prior definition of the company’s business project. The first step is to help the company protect the confidentiality of its information by Soleau envelope deposit, of the confidentiality contracts to be signed with third parties, subcontractors or cooperators. For any technological innovation, we must consider the possibility of patent protection. To do so, the nature of the innovation has to be specified: product, process, usage. We then compare its originality and advantages to the previous technique. (How its technology watch and competitive intelligence are monitored using to European databases). We provide a patent attorney with advices to quickly and efficiently file the documents. We then provide support to maintain legal protection during technical development and marketing especially when filing the patent abroad. When applicable, the design of the products to be marketed may also be protected. Attention has to be drawn on another point: the registration of the trade name, then the creation and protection of a trademark in order to increase the public awareness of the firm using advertisements and displays of the mark on the products that the company intends to market. We clarified the strategic aspects of IP (Intellectual Property) and adapted them to the company’s innovation and IP policy. The presentation was all the livelier as the experts spoke in turn. During the preparation, we had made a list of various submitted and granted titles belonging to the company using Espacenet European data, which was very much appreciated. The presentation reviewed the various protections, their purpose, the French filing systems and extensions abroad, the current renewal policy. Other topics were discussed such as the know-how and patents inventorship claiming. Both people were very satisfied with our service. A company specialised in plastic films with high innovative power and growth called upon us. At first, we provided the inventors with a training session about confidentiality policies and assessed their patent situation. We then helped them define the process needing a patent and finally assisted the company reach patent attorneys for their first patent filing. We continued the training of new employees in R&D. Furthermore, we maintain continuous contact with the head of the company to support strategic thinking about potential partnerships involving industrial property rights and brand protection policy.